Eltronicschool. - This is one of the best book for you who want to learn more about digital design in this time. 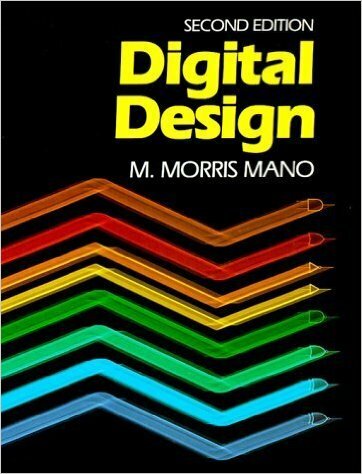 This book is Digital Design 2nd Edition that authored by M. Morris Mano. In this time, beside we will give you global review about Digital Design 2nd Edition by M. Morris Mano, we also will give you the link to take free download e-book of Digital Design 2nd Edition by M. Morris Mano from external server. For this edition, eight chapters have been substantially revised by adding new topics and deleting those that are obsolete. An entirely new chapter presents IEEE Standard graphic symbols for logic elements recommended by ANSI/IEEE Standard 91-1984. In addition, new problems have been formulated for the first seven chapters, and new experiments have been added to Chapter 11. Providing coverage of the design procedures for combinational circuits, synchronous and asynchronous sequential circuits, the book covers the following topics: signed binary numbers and the design of state machines using D flip-flops; procedures for converting AND-OR diagrams and NAND or NOR diagrams and the internal construction of the programmable array logic (PAL); random access memory (RAM) and the Hamming error correcting code; and the CMOS transmission gate. And now you can click the link below to take free download e-book of Digital Design 2nd Edition by M. Morris Mano from external server easily.